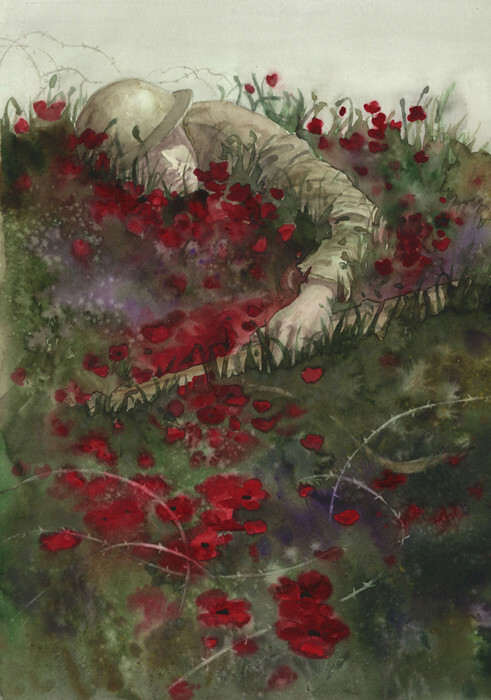 Why is the fallen soldier painted in pale shades of colour? Why are there poppies growing? What do you think the poppies represent? Could they represent more than one thing? Discuss the contrast between the barbed wire and the poppies. Why is important to remember events from the past? Why do we hold a silence to remember events? What if we don’t remember anything of the event (if we weren’t alive at the time)? What should you think about during a minute/two minute silence? What can we learn from the events of World War One? What can we apply to our own lives today?